Columbia Pictures has acquired Peter Craig to draft a script. Craig most recently has penned the script for Ben Affleck's "The Town" which is currently filming. Peter Craig, who is something of a hot commodity right now, also has three other scripts currently in development. One for Overnight Films titled, "Southbound" with Matthew McConaughey and Eva Mendes attached to star and Jonathan Jakubowicz directing. The second script titled "Cartel", a remake of the 1993 film La Scorta, is in pre-production over at Imagine Entertainment and Universal Pictures with Ghosts of Cité Soleil director Asger Leth directing. The third is a live-action adaptation of "Cowboy Bebop" that has Keanu Reeves attached to star. Craig is also the son of actress Sally Field and attended the Oscars with her when he was only 10. 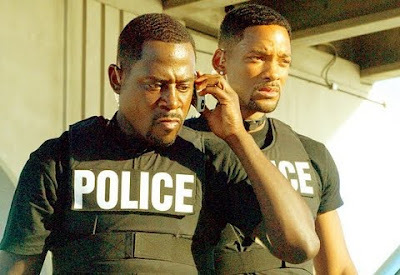 Banking on the fact that Peter Craig can write a script that all three Smith, Lawrence and Bay will sign on to return, "Bad Boys 3" will be an extremely expensive film to lens. Smith and Bay will both ask for a pretty penny and even though Martin Lawrence hasn't had a real hit since just after Bad Boys 2 with Big Momma's House 2, there's no doubt signing all three of them is going to put a initial production cost upwards of $50 million.